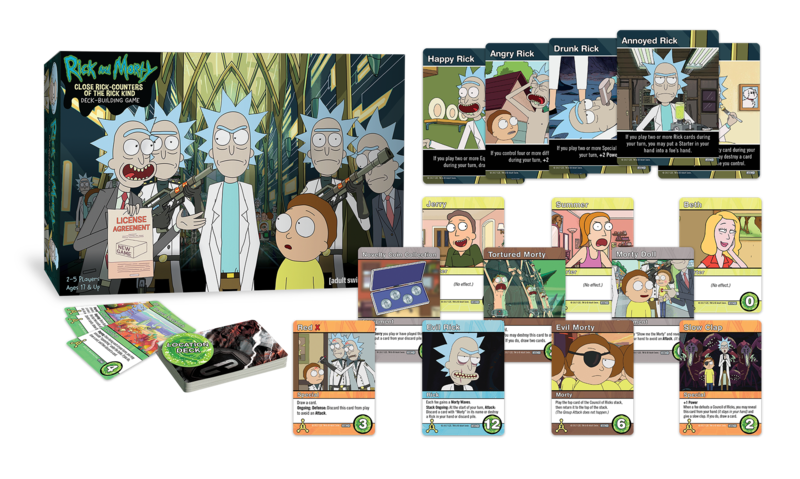 Cryptozoic has a new Rick & Morty card game on the horizon. It's called Look Who's Purging Now and it uses their Gryphon game engine, letting players act simultaneously to rack up kills during the annual Festival. Who will have the greatest kill count? That's up to you to decide. In the world, there are many religions one could choose to follow, and many with pantheons that you could choose which god you wanted to follow. Of course, you want to make sure you choose the right one. That's just what you'll be doing in Cult: Choose Your God Wisely, a new board game coming in two days from Cryptozoic and Igrology. Cryptozoic always did have really long titles for games. This one certainly clocks in there as one of their longer ones. 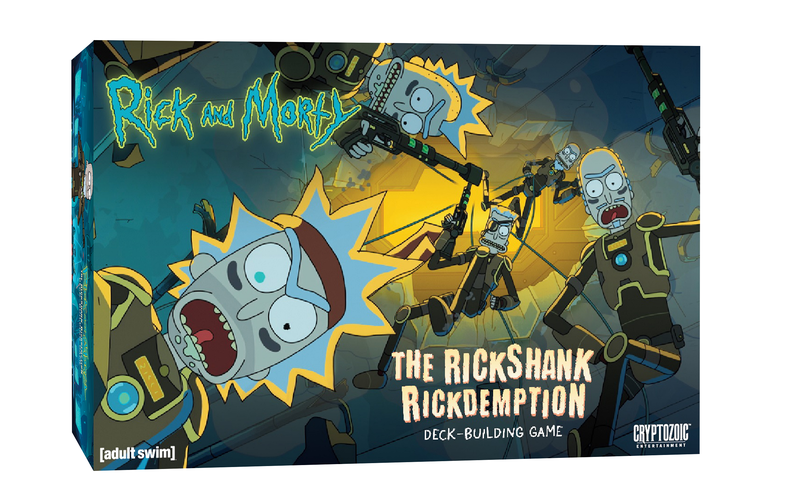 It's the Rick and Morty: The Rickshank Rickdemption Deck-Building Game. 9 words. 7 if you don't count the "and" or "the." So, what's the game going to have, besides taking up lots of space on sell sheets with a title like that? Let's have a look. 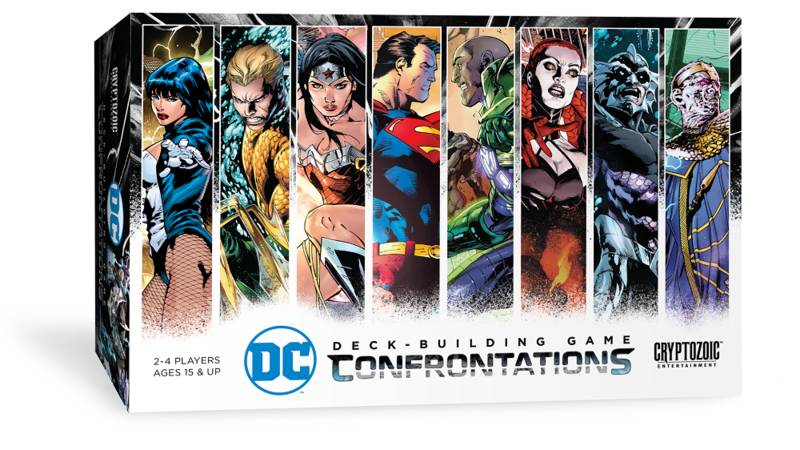 Cryptozoic has announced a new expansion set for their DC Deck-Building Game. This time, it's playing out the fight between the Green Lantern and his greatest nemesis, Sinestro. Who will win these color wars? That's up to you to decide. It's always interesting to see a classic character we all know and place them into different cultures and see how they might've been envisioned if they had originally be created in those cultures. In this case, what if Batman had been created in Japan, and was a ninja instead of a detective? 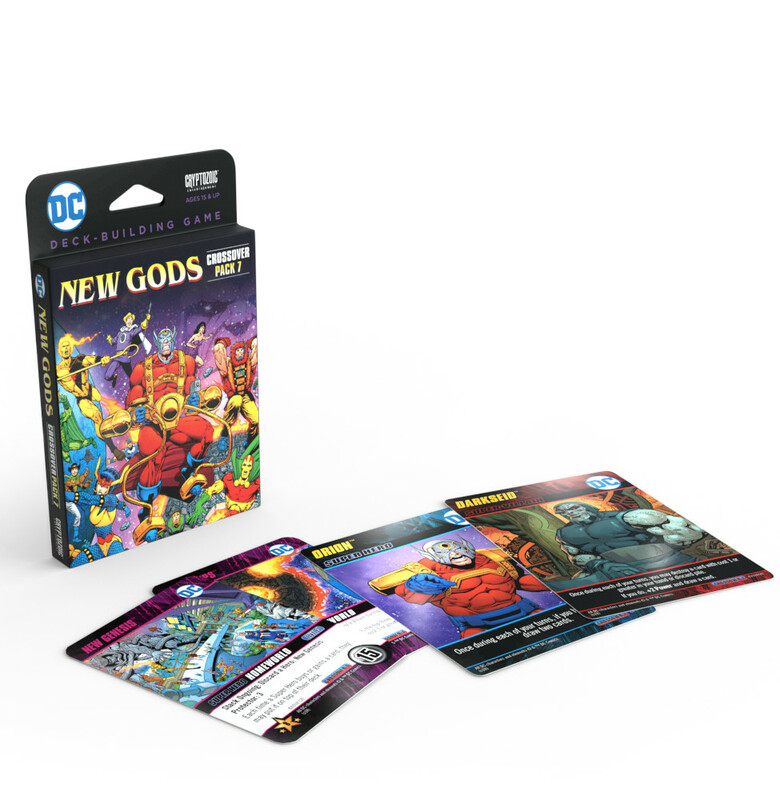 Well, you can see how that'd work out on your game tables with DC Deck-Building Game Crossover Pack 8: Batman Ninja, coming soon from Cryptozoic. Mature content ahead. Cryptozoic has announced a new expansion for Epic Spell Wars of the Battle Wizards. It's called Panic at the Pleasure Palace and it's pretty much everything you're kinda thinking it is, based on that name. There's Magically Transmitted Diseases and everything. 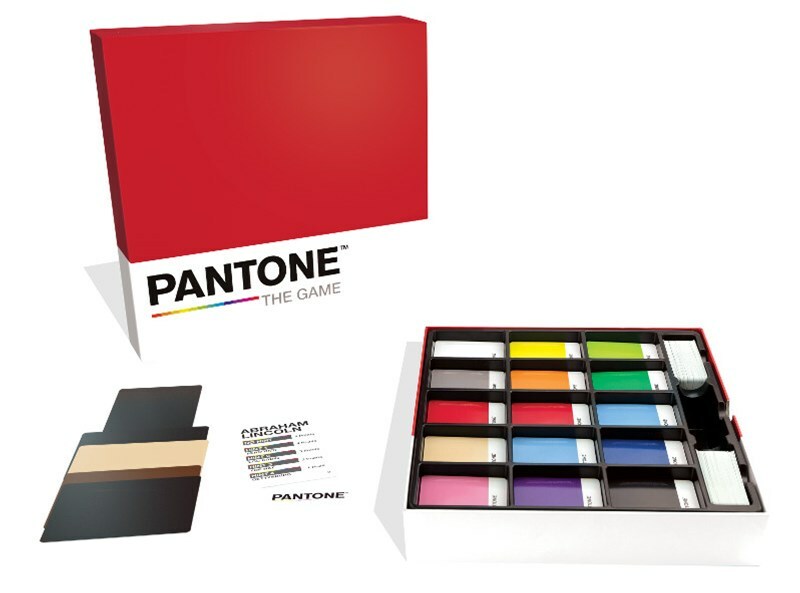 Cryptozoic is bringing the vibrant world of Pantone colors to your tabletops with Pantone: The Game. In it, players are trying to correctly guess a character simply based on the colors associated with them. The greatest superheroes in the DC universe are gathering together for a secret meeting. However, everything isn't as it seems. One of them isn't who they say they are. The Joker has grabbed a disguise kit and gotten in on the group chat. As the superheroes work to tell the location without explicitly giving it away, the Joker must keep their identity secret. 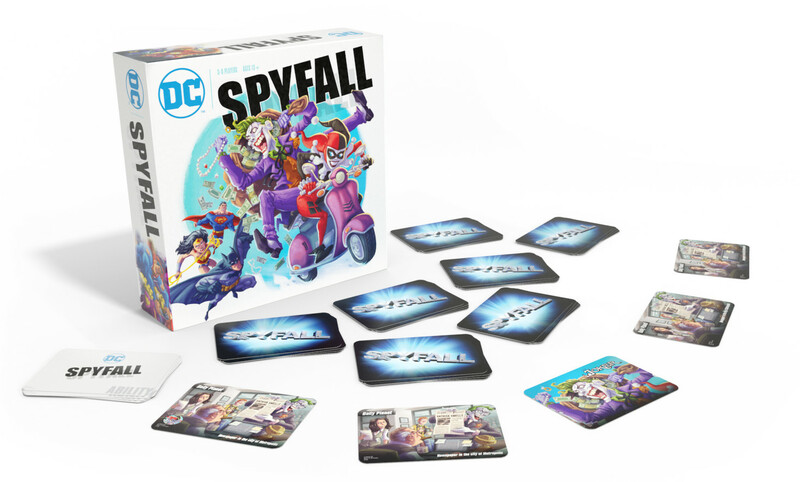 That's what's going on in the DC reskin of Spyfall that Cryptozoic will be releasing. That's what one of you can say, anyway, when you're playing the Pickle Rick Game, coming soon from Cryptozoic. 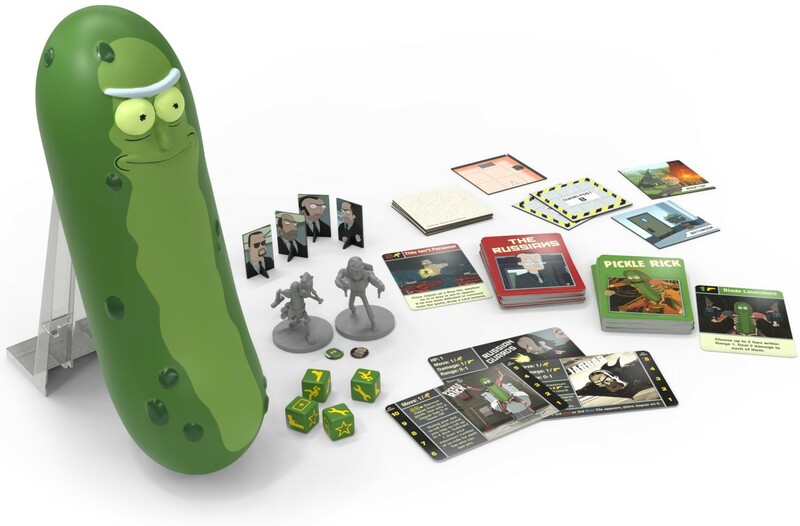 One player will be the titular gherkin, while the others take on the role of the Russians and Jaguar, trying to keep Rick from escaping the facility. The game is officially out in September, but they will have a limited number at SDCC and then Gen Con. 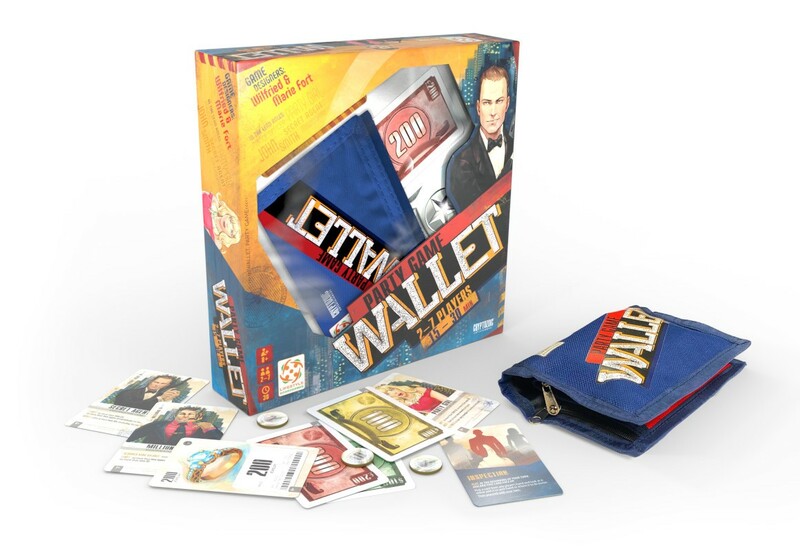 Wallet is a new party game coming next week from Cryptozoic. In it, players are looking to get away with the most cash. However, you can't just whooooh, take the money and run. Nope, that wallet's hot, and if you've got too much money, or too many IDs, you'll get caught by the authorities. If I had a million dollars we wouldn't have to walk to the store. If I had a million dollars we'd take a limousine 'cause it costs more. If I had a million dollars we wouldn't have to eat Kraft dinner. Though saying what you'd do if you had a million dollars is jumping the gun. First, you've gotta get the million dollars. And that's not so easy. What've you got to do? That's up to the other players in Million Dollars, But... The Game. Cryptozoic has teamed up with Rooster Teeth to give this originally-Kickstarter-funded game a much wider release. I'm woefully behind on watching certain shows that I've been meaning to look at for quite some time. Rick & Morty is one of them. I've seen a shotgun of episodes here and there, but I really mean to buckle in and just go through the series. 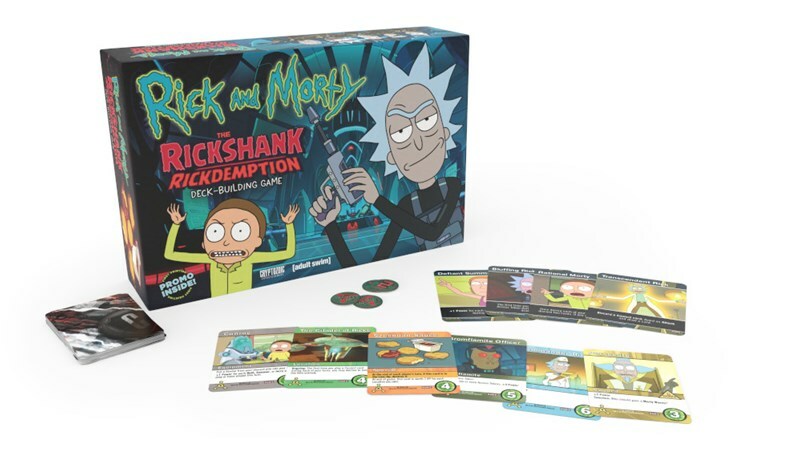 Then, I'll have a better handle of what's going on in The Ricks Must be Crazy, the new card game coming from Cryptozoic. Well, I've got until the 30th, as that's when the game will hit shelves. There's a lot of deities out there. Priests and cultists are always trying to find more recruits to join their religion. With more followers comes more power for your god. 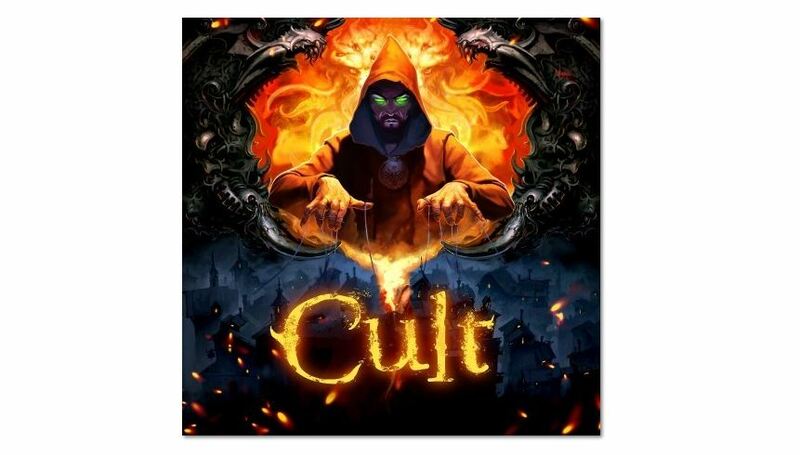 It's a race for not just the souls of those in the cult, but for everyone. 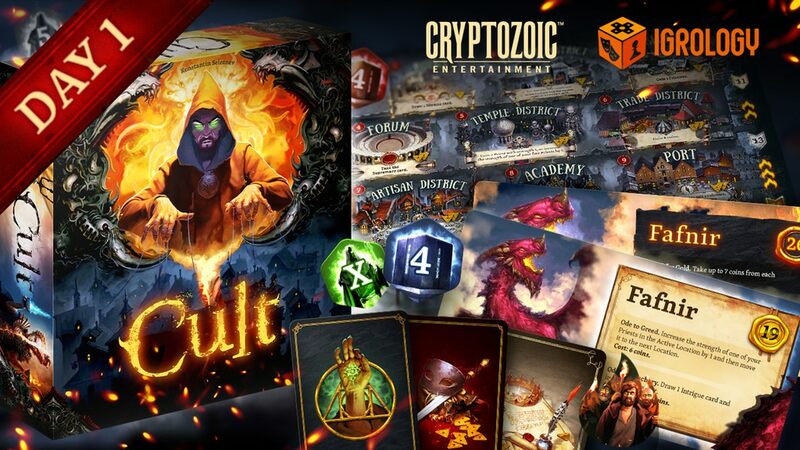 That's what you'll be doing in Cult, the new board game from Cryptozoic that's up on Kickstarter now. 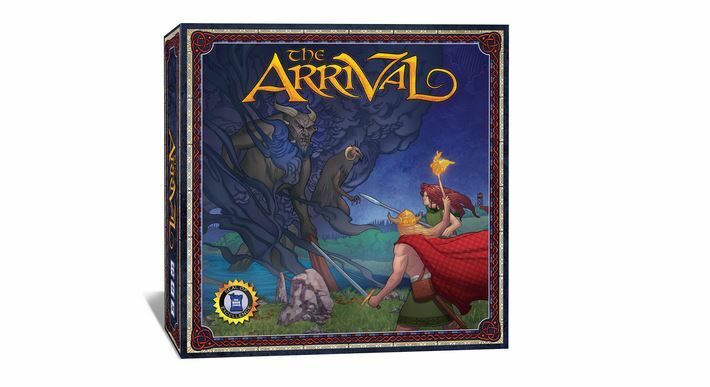 I had really thought about making the headline, "Cryptozoic announces the arrival of The Arrival" but decided against it. Still, obviously I made it the opening to the post. Anyway, The Arrival puts players in control of a Tribe, and they are looking to gain more territory in ancient Ireland from the other Tribes, as well as the demon-like Fomori. It was originally a limited release at Essen, but the rest of us can now get a hold of the game. Well, this game's name is at least a bit shorter than what Cryptozoic has been putting out lately. This time around, they take on Teen Titans Go! with a new Deck-Building game, appropriately titled the Teen Titans Go! Deck-Building Game (one thing you have to say, you know exactly what you're getting when you read that name). So grab a cup of hot salad water and get ready to fight! You know... I don't think anyone makes games with names as long as Cryptozoic does. Full disclosure, I'm copy/pasting that name in this article. I've got to much to do to type out Epic Spell Wars of the Battle Wizards: Melee at Murdershroom Marsh every time I want to mention Epic Spell Wars of the Battle Wizards: Melee at Murdershroom Marsh. I mean, there's just so many words in Epic Spell Wars of the Battle Wizards: Melee at Murdershroom Marsh, that if I were to simply type out Epic Spell Wars of the Battle Wizards: Melee at Murdershroom Marsh every time, that'd be the second half of my day! Anyway, the expansion's coming later this month. Comic books are filled with confrontations. I mean, it wouldn't be all that interesting if Superman just went to work as Clark Kent, had a standard day where nothing happened, and then went home at night. Not really thrilling. So you've got supervillains and even rogue superheroes and all other sorts of things going on. 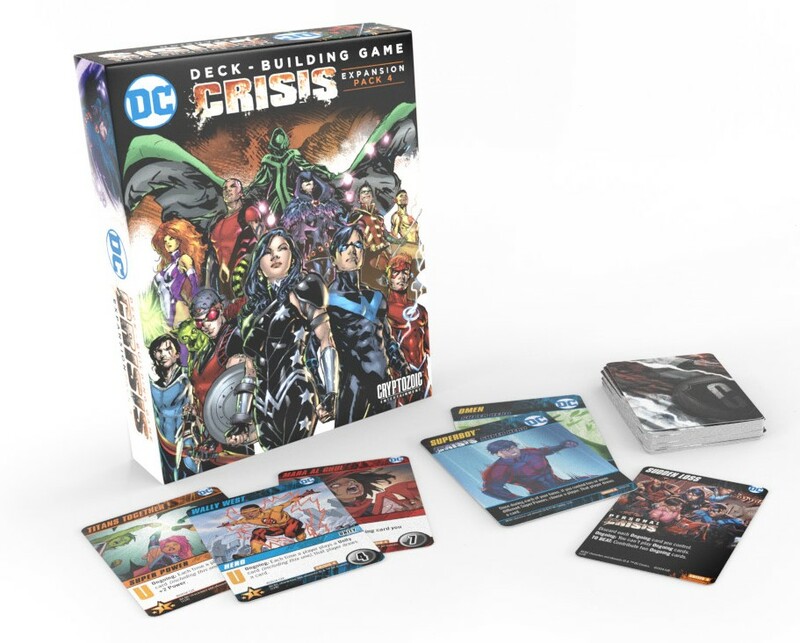 If you want to play some of those out on your tabletop, especially as a group effort, you can check out the new expansion for the DC Deck-Building Game. It's called, appropriately enough, Confrontations. It's due out in just under 2 weeks. But that's what happens when you team up with some cool licensed properties. 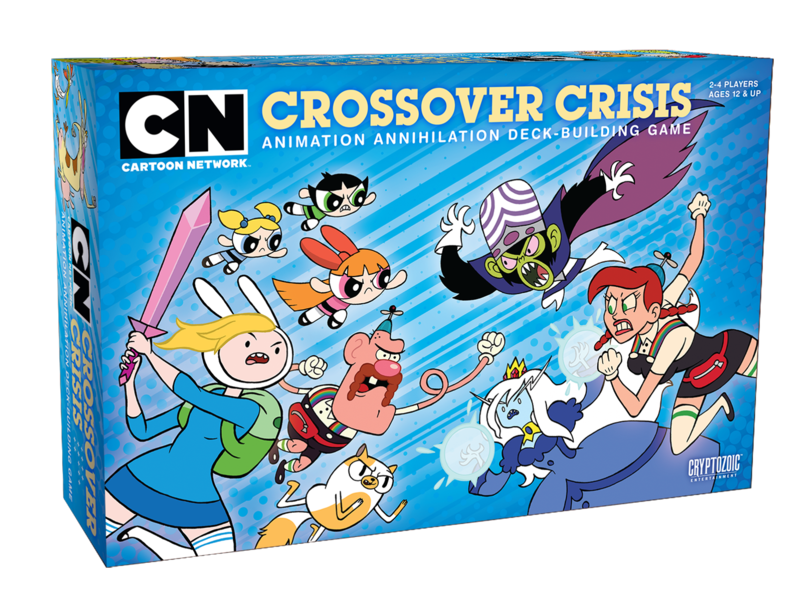 In this case, it's basically all of Cartoon Network, as their Cartoon Network Crossover Crisis: Animation Annihilation Deck-Building Game will be coming out in just a couple of weeks. I mean... I've seen games with long names before. But I think this one wins the overall record. 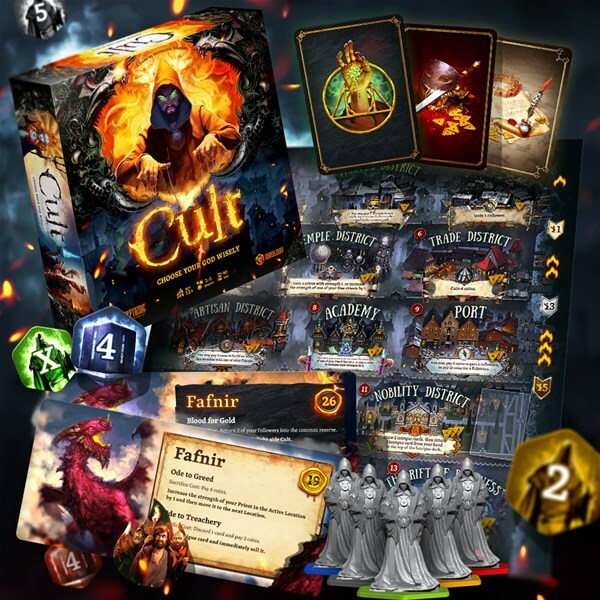 Cryptozoic has announced that their new deck-building card game will be available on November 15th. The name of the game? Rick and Morty: Close Rick-Counters of the Rick Kind Deck-Building Game. Yes, I'm copy/pasting that, because it takes too long to type out Rick and Morty: Close Rick-Counters of the Rick Kind Deck-Building Game when you want to talk about the Rick and Morty: Close Rick-Counters of the Rick Kind Deck-Building Game.